There you are in the grocery store, trying to shop peacefully, when your child erupts in fit of screams and launches into a world-class meltdown. Trying to soothe the savage beast is never easy and you resort to bribery in a last-ditch effort to calm his tiny spirit. Rejecting your peace-offering, his tantrum continues, and you are embarrassed to the core. You want to run and hide and escape from the glares of strangers. Of course, each are parenting experts in their own mind and would have calmed your child who misbehaves in minutes. All that’s left for them to do is glare and stare at the frustrated child and his frazzled mom. Of course, you’re silent as you make a made dash through the store, haphazardly throwing items in your cart and racing to the checkout line before the behavior escalates. In those frustrated moments, I know you feel overwhelmed and humiliated. I bet your inner dialogue reads something like….. Friend, I’ve been where you are more times than I can count. 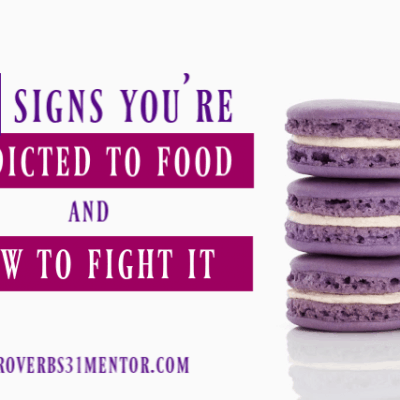 My children struggle with behavior and I struggle with my reaction to them. I’ve been frustrated, angry, humiliated and grieved over the state of my child’s behavior, and I understand YOU in this situation. Although I may not be a behavior expert, I understand the misery and feelings of hopelessness of a child who misbehaves regularly. Here’s some encouragement as you navigate the rocky waters of parenting. Make a conscious effort to observe (and even record) what triggers your child’s behavior and when the meltdowns occur. Once I started doing this, I was able to identify that my child struggles in large, open places. His trigger places include the store, the library, and walking into church. 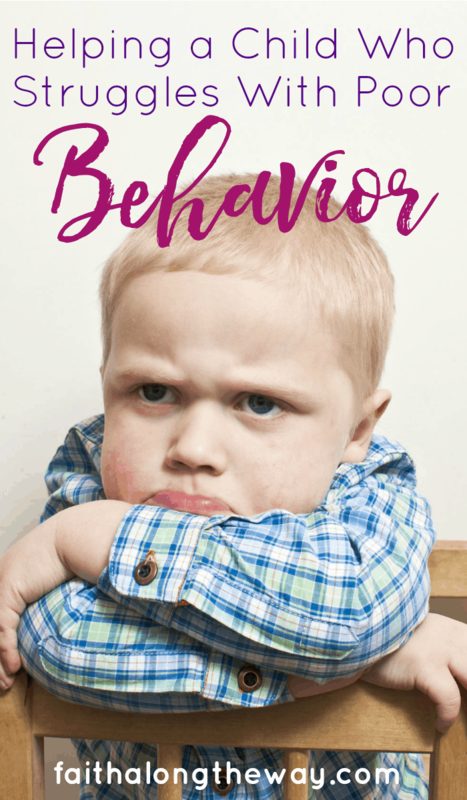 Identifying the common theme in his tantrums has helped me be more proactive about managing the behavior up front and expecting a struggle in these situations. Whenever we pull up to one of the places he struggles, we talk about how his behavior will look and what his positive response will be. For example, when we get to the store, we will discuss how he will walk into the store, how we will pick a cart that he likes and how to handle it if his favorite cart is not available. Plus, we’ll also set the stage for what treat he can have during our trip and consequences of a tantrum. 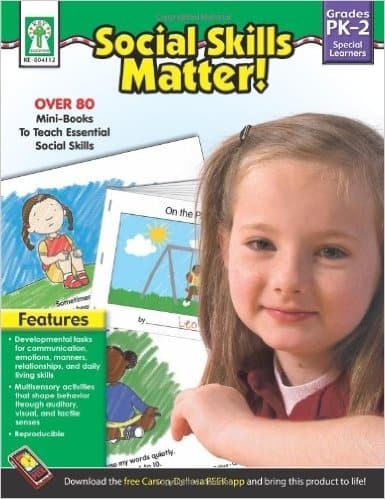 Social stories are a great way to help your child learn what to expect in situations and are a great teaching tools for families to set clear expectations. Children relate to the scenes in the story and can begin to apply them in their own lives. My children both have underlying special needs, and sometimes my strategies to soothe are “creative”. Our favorite soothers include essential oils on a cloth (we call it ‘Calm Cloth’) to smell and hold as we go through a store. I’ll also dab some on their wrists and pressure points, too. We also use fidget and sensory toys to calm them in the situation, compression gear to help them feel safe and sometimes, I’ll carry my little guy close walking into church. The pressure and closeness helps ground him and I’ve noticed that his behavior is better when I do this. Mama, you can’t do it alone. Enlist a tribe of understanding family and friends to help you through difficult situations and encourage your heart when times are tough. Frequent breaks are a must for a mom of child who misbehaves often! Research different behavior strategies and give them a try. 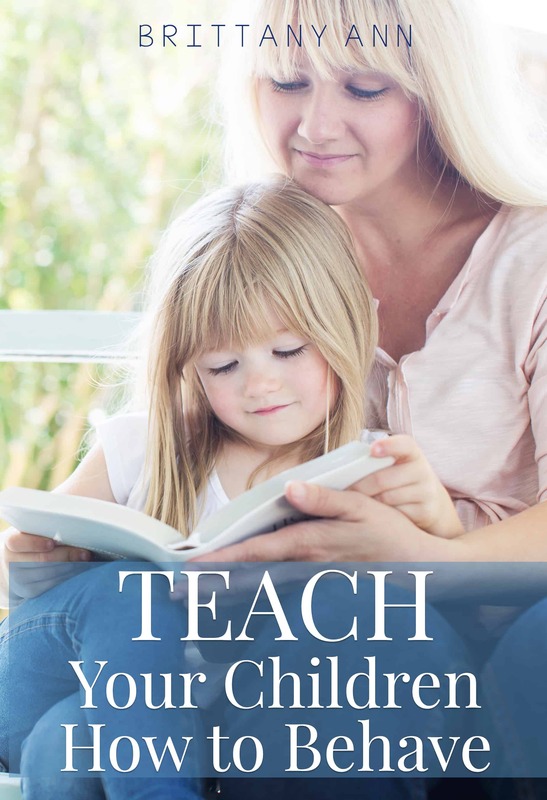 My new favorite book is TEACH Your Child to Behave, a resource full of ideas for families to help their teach their child obedience and see visable progress. 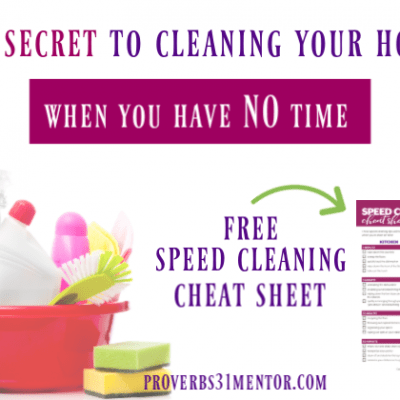 It includes practical strategies you can immediately implement in your home and how to be proactive about teaching the correct behavior. When I only focus on and correct poor behavior, I find that my child struggles even more. No one likes to be nagged and told how they are failing. When I pick my battles and focus on correcting the most important behaviors, I am more likely to praise him for the things he does well. This keeps us connected with a positive and loving relationship. Plus, he’s more apt to respond to my correction because I’ve provided grace and love in those tough moments, too. 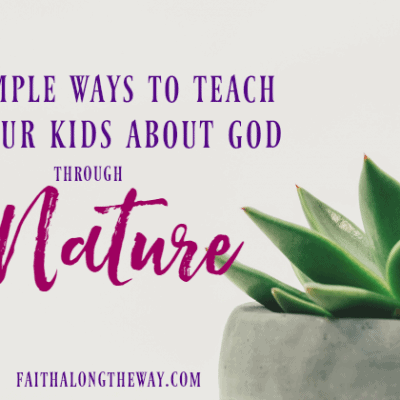 Praying with your child about their behavior helps them understand that God gives them the ability to control their bodies and actions. Like all of us, children have a choice to obey or disobey, and the sooner they understand it IS possible to obey, the better. Praying for your child softens your heart and gives you a safe place to voice your frustrations or concerns. It’s in that precious time of connection with God that you can muster the grace on those tough days and strength to keep going on those days you feeling like giving up. Friend, I know your feelings of frustration, and know you have a kindred mom friend in me. 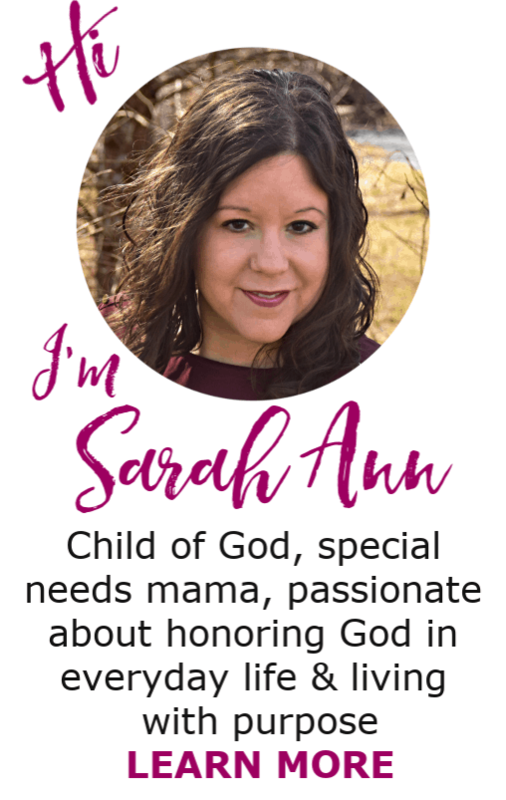 I invite you to be a part of the Faith Along the Way community for continued “mom support” in two ways. Join The Strong Family Project Facebook Group, where we share our frustrations, triumphs and encourage each other through prayer and community. Click the picture below to join. 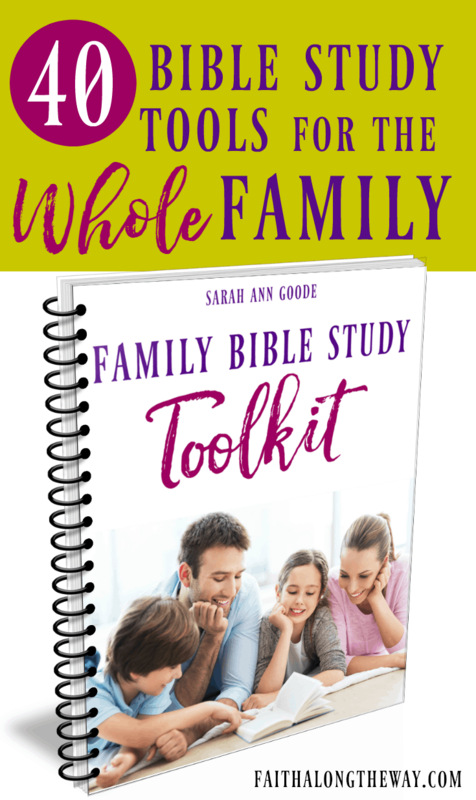 Also, subscribe to Faith Along the Way for The Strong Family Project Printable Pack, a resource filled with printables to help you connect and build a strong family. Subscribers will also receive weekly encouragement and regular freebies and deals in your inbox. Subscribe below to grab your printable pack today! 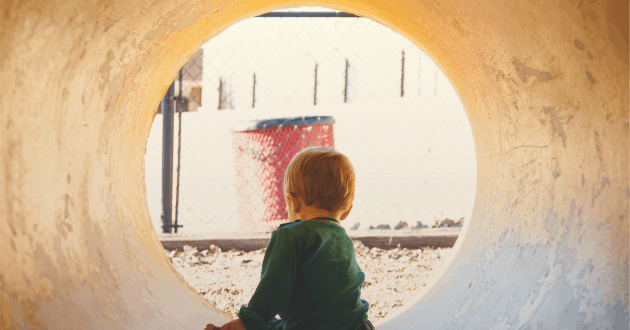 How do you deal with child poor behavior? I’d love to learn what strategies work for your family!